We made magic for this movie, from Captain America’s silver star to the Winter Soldier’s mask. We must admit it’s pretty thrilling when you know your work will be seen by millions of people — especially when its Marvel Studios’ Captain America: The Winter Soldier. In this blockbuster superhero flick, our costume designs and props are front and center — and they’re some of the most notable pieces from the movie. We designed and created the Winter Soldier’s sleek mask, made with a variety of materials and textures. We started with a digital scan of the actor, and then custom formed a soft mask to fit the actor’s face. Even though it’s “soft,” the mask is internally shaped to retain the actor’s facial structure, regardless of any movement underneath. This made it comfortable and pliable but also consistent in appearance. We also went through a rigorous R&D phase to make sure the actor could speak easily and be heard clearly from beneath the mask. 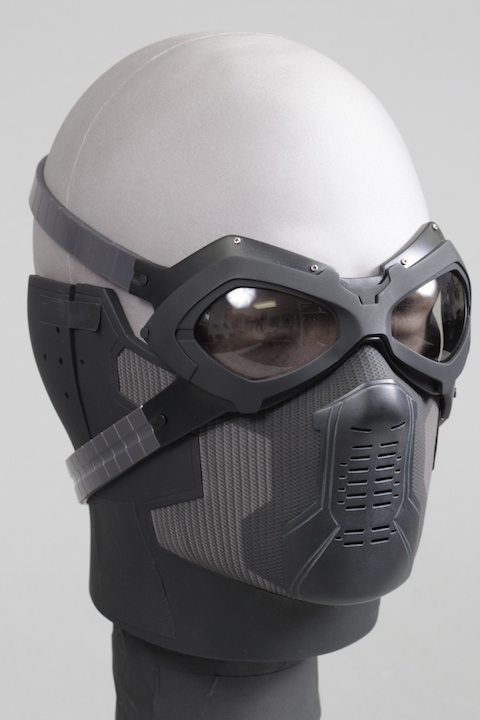 The Winter Soldier’s 2-piece mask is made of 30+ parts — but only takes seconds to get on. Since the Falcon can sprout wings and fly at any time, it’s vital that his eyes are perfectly protected. The custom goggles we created for Falcon look very protective but also incredibly cool. They were made to be a whole lot more comfortable during long shoots than a pair of Speedo goggles would be. Even if you haven’t seen the movie yet, you’ve probably seen Captain America’s iconic silver star — emblazoned proudly on his chest. Yep, we made that, too. 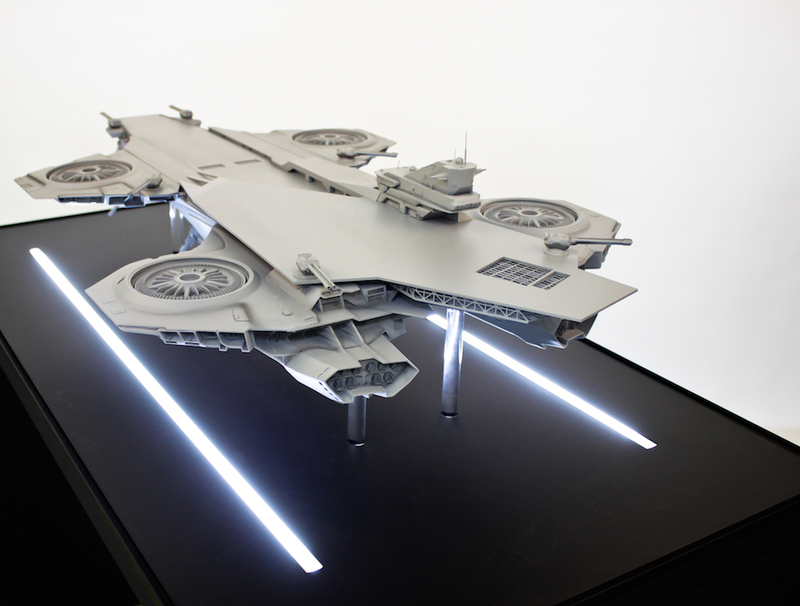 Our highly detailed, six-foot scale model of the movie’s Helicarrier is nothing short of awesome. Using a massive and intricate digital file, we 3D printed the model and provided all the finishings to make it look as realistic as any four-turbine Helicarrier you’ve ever (or never) seen.